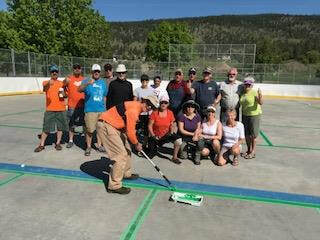 at the 55+ BC Games in Cranbrook/Kimberley September 13 & 14/18. 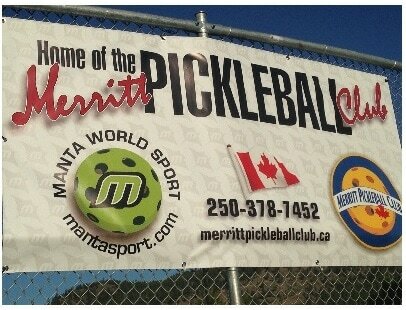 ​Great fun and exercise, drop-ins welcome. Demo paddles and instruction available. 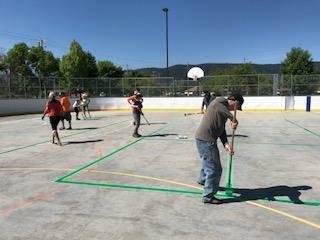 We recently had a work bee to clean, tape then paint lines on the 6 courts in the Sport Box at Central Park in preparation for outdoor play. We had a great turnout and should be “on the courts” effective Friday, May 26th. 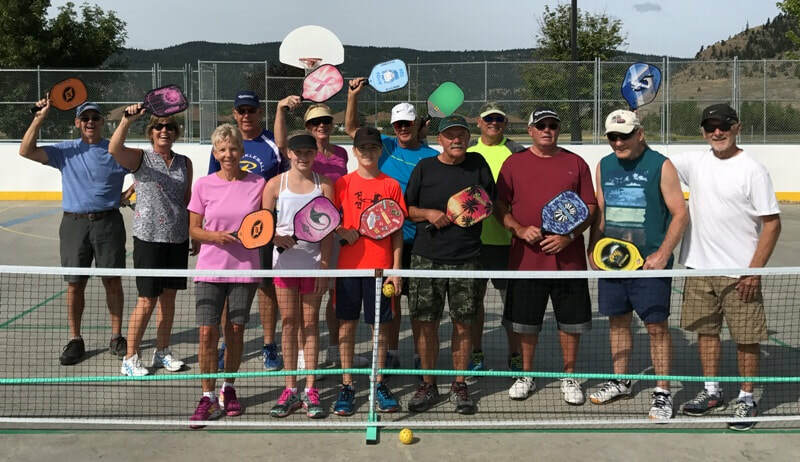 Everyone is welcome to stop by the courts for some Pickleball play here in Merritt this season. Memberships: $120 for a full year (effective July 1), with fees diminishing as the year progresses.